The Prophet's (Peace be upon him) concept of kindness to animals is based on a balanced view that combines the benefit of human beings and mercy to animals. It is a concept that does not allow cruelty, misuse, or absolute expediency. At the same time, it does not ignore the human needs for food and living conditions that require use of animals. Thus, as Islam does not allow misuse of, harming overburdening animals, it does not incline to accept the contemporary animal Humane Societies which call for preventing the killing of animals totally under the pretext of protecting their rights. The Prophet (Peace be upon him) made treating animals with compassion a door to reward and entering Paradise. In contrast, he made cruelty to animals as one of the causes that lead to Hell. Al-Bukhari and Muslim reported on the authority of Abu Hurairah (may Allah be pleased with him) who said, Allah’s Messenger (Peace be upon him) said, "While a man was walking he felt thirsty and went down a well and drank water from it. On coming out of it, he saw a dog panting and eating mud because of excessive thirst. The man said, 'This (dog) is suffering from the same problem as that of mine. So he (went down the well), filled his shoe with water, caught hold of it with his teeth and climbed up and watered the dog. Allah thanked him for his (good) deed and forgave him." The people asked, "O Allah's Messenger! Is there a reward for us in serving (the) animals?" He replied, "Yes, there is a reward for serving any animate." 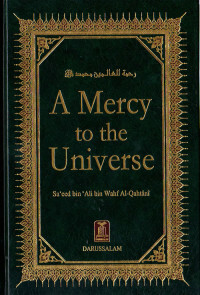 In addition, it was reported on the authority of Abu Hurairah (may Allah be pleased with him) that Allah’s Messenger (Peace be upon him) said, "A prostitute was forgiven by Allah, because, passing by a panting dog near a well and seeing that the dog was about to die of thirst, she took off her shoe, and tying it with her head-cover she drew out some water for it. So, Allah forgave her because of that." On the other side, Al-Bukhari and others narrated that Allah’s Messenger (Peace be upon him) said, “A woman entered Hell because she had imprisoned a cat till it died of starvation. She neither fed it no freed it so that it could feed itself." In another narration, it is reported, “A lady was punished because of a cat which she had imprisoned till it died. She entered the (Hell) Fire because of it, for she neither gave it food nor water as she had imprisoned it, nor set it free to eat from the vermin of the earth." The Prophet (Peace be upon him) used to treat animals with mercy. Aḥmad and Abu Dawoud – Sheikh Aḥmad Shakir authenticated this tradition- through ‘Abd Allah ibn Ja’far (may Allah be pleased with them) that the Messenger of Allah was (Peace be upon him) one day was in the garden of a man of the Ansar (Helpers). There was a camel in that garden and when the camel saw him, it groaned and shed tears. The Prophet of Allah wiped the tears and it became calm. He then inquired about the owner of the camel and when its owner appeared before him he said, 'Do you not fear Allah in this animal which Allah has put in your possession? It has complained to me that you starve it'. The prophetic tradition explains the mercy of the Prophet (Peace be upon him) when he went to the camel and made it calm down then prevented its owner from harming it. The words of the Prophet (Peace be upon him) (do you not fear Allah in this beast?) shows that compassion to animals originates from consciousness of Allah the Almighty. Abu Dawoud, Aḥmad, Ibn Ḥibbān, Ibn Khuzaimah – Shu’aib al-Arna’ut authenticated this tradition – through Sahl ibn al-Hanzaleyah (may Allah be pleased with him) said, “The Prophet (Peace be upon him) passed by a very weak camel that his stomach quite touched its back (due to the lack of food). Upon seeing this, he said, “Fear Allah in these unspeaking animals! Ride them while they are in good health, and eat them while they are good". Ibn Majah, Abu Nu’aim, At-Tahawi, Ad-Darqutni, Al-Bayhaqi, and At-Tabarani in his book titled al-‘Awsat reported – Al-Albani authenticated this tradition - on the authority of ‘Aishah (may Allah be pleased with her) who said, the Prophet (Peace be upon him) used to tilt the vessel towards the cat it to let it drink and then he uses what remains for ablution. All these prophetic traditions illustrate that the Prophet (Peace be upon him) treated animals mercifully and the Prophet (Peace be upon him) put strict controls when killing animals. Therefore, in the tradition that Abu Dawoud, An-Nasa’i, and others reported on the authority of Shadad ibn Aws who said, “There are two characteristics I heard from Allah’s Messenger: Surely, Allah has prescribed perfection on everything. So if you kill, then kill well. If you sacrifice, then sacrifice well. Each one of you should sharpen his blade and alleviate suffering to the animal he slaughters”. Aḥmad and Ibn Majah reported on the authority of Ibn ‘Umar who said, “Allah’s Messenger (Peace be upon him) ordered us to sharpen our blades and that animals shouldn’t see each other when they are slaughtered. He also said, “When you slaughter, do it properly”. The Prophet (Peace be upon him) allowed farming animals to benefit from them, and even to play with and be entertained by them. According to the tradition that Al-Bukhari reported on the authority of Anas ibn Malik who said, “The Prophet (Peace be upon him) was the best of all the people in character. 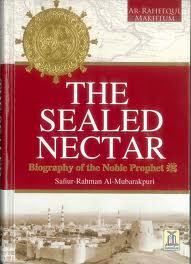 I had a brother called Abu `Umair, who, I think, had been newly weaned. Whenever he (that child) was brought to the Prophet (Peace be upon him), he used to say, "O Abu ‘Umair! What did Al-Nughair (nightingale) (do)?" It was a nightingale with which he used to play. Sometimes the time of the Prayer became due while he (the Prophet) was in our house. He would order that the carpet underneath him be swept and sprayed with water, and then he would stand up (for the prayer), and we would line up behind him, and he would lead us in prayer. This tradition does not mean leaving animals hungry because it is forbidden as what has been stated above in the tradition that says that a woman entered Hell for locking up a cat and not feeding it. At the same time, it does not mean to load animals above what they can endure. Al- Bukhari and Muslim reported on the authority of Abu Hurairah (may Allah be pleased with him) who said, Allah’s Messenger (Peace be upon him) said, “While a man was leading a cow, he began to ride it and beat it. So the cow said to him, ‘we were not created for this, rather we were created for ploughing”. The tradition shows that each animal has a role and we cannot ride a cow because they cannot do this, but they can be used to till the land. People can also take advantage of their meat and milk. Furthermore, the Prophet (Peace be upon him) forbade harming animals. Al- Bukhari and Muslim reported on the authority of Ibn ‘Umar (may Allah be pleased with them) who said, “Verily Allah's (Peace be upon him) Messenger invoked curse upon the one who made a live thing the target (of one's marksmanship). Muslim and others reported on the authority of Ibn ‘Abbas (may Allah be pleased with them) that the Prophet (Peace be upon him) passed by a donkey marked very badly on its face that caused distortion in its face. The Prophet (Peace be upon him) said, “Curse be to that person who distorted the face of this poor animal”. In this context, there are many other traditions that have the same meaning. Abu Dawoud reported on the authority of Ibn Mas’ud (may Allah be pleased with him) who said, “We were with the Messenger of Allah (Peace be upon him) during a journey. He went to ease himself. We saw a bird with her two young ones and we captured her young ones. The bird came and began to spread its wings. The Messenger of Allah (Peace be upon him) came and said, “Who grieved this for its nestlings? Return its nestlings to it”. Al- Bukhari and Muslim reported on the authority of Anas who said, Allah’s Messenger (Peace be upon him) forbade beating or locking animals until they die. There are texts in the Qur'an and Sunnah that deny genocide or mass killing of a species of animals and urges to keep species from extinction for the maintenance of Ecological balance. An example is what is mentioned in the chapter of Hud where Allah says, “At length, behold! There came Our command, and the fountains of the earth gushed forth! We said: "Embark therein, of each kind two, male and female, and your family - except those against whom the word has already gone forth,- and the Believers." but only a few believed with him” (11:40). The verse explains that Allah the Almighty commanded Prophet Noah to save the male and female of all existing creatures for the purpose of reproduction. Al-Bukhari narrates in his sound collection on the authority of Abu Hurairah (may Allah be pleased with him)as saying, 'I heard Allah’s Messenger (Peace be upon him) say, “An ant stung one of the prophets, then he ordered an ant hill to be destroyed, so Allah revealed to him: “Would you kill a nation glorifying Allah because of one ant?” And, in another narration, “It is only one ant”'. 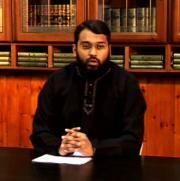 Furthermore, Abu Dawoud, At-Termidhi, An-Nasa’i – authenticated by Al-Albani – on the authority of ‘Aisha (may Allah be pleased with her) said, Allah’s Messenger said, “Were dogs not a species of creature I should command that they all be killed; but kill every pure black one”. Although the Arabs disliked dogs, the Prophet (Peace be upon him) did not allow them to kill dogs. The most beautiful thing in the topic of mercy to animals in the Sunnah is the prohibition of cursing animals and abusing them morally. It is something that other religions and philosophies did not attain at any time, even in the present era, which has abundant writings about animal rights. Muslim reported on the authority of Abu Ad-Darda’ who said, Allah’s Messenger (Peace be upon him) said, “The intercession of those who invoke curse upon others won’t be accepted on the day of judgment”. Imam Aḥmad – there is evidence for this tradition in the collection of Imam Muslim – reported on the authority Abu Barzah who said, “On one occasion, a slave girl was on a camel with some people's goods and she saw the Prophet, may Allah bless him and grant him peace. The mountains were hemming them in and she said, 'Move! O Allah, curse it!' The Prophet (Peace be upon him) said, 'A she-camel bearing a curse will not accompany us.'" Also, many of those who speak about these things are from wealthy countries, which have many resources, but their view can not be applied to low-resource countries or countries with famine. Allah's law is valid for all of them. We cannot say that a vegetarian diet is enough for all its inhabitants. There is no evidence that it was enough for them at any time. Then doctors spoke about the importance of animal and fish protein, and there are no approved medical theories showing that man can obtain all his nutritional needs from plants. Further, those who speak about animal rights are from countries which kill people without caring, and they do not respect human rights. Therefore, is keeping animals more important than treating man with mercy? Finally, the call to be content with plants in terms of nutrition was made by individuals in some countries but this cannot be applied in all human societies. It is worthy to mention that the United States of America, the United Kingdom and other countries classified many animal rights groups as terrorist groups that threaten the security of society. This is because some of them have carried out acts of sabotage in some animal and poultry farms. We believe in what Allah and His Messenger (Peace be upon him) commanded, and believe that no one living on the earth is more merciful to Allah's creatures than His Prophet Muḥammad (Peace be upon him) as described by Allah Almighty in His Noble Qur'an, “We sent you not, but as a mercy for all creatures” (21:107).